Adding additional software is very simple. Be warned though, a number of developers have taken a lazy approach to software with the Raspberry Pi and hardcode the user to be Pi. This means this software may not work with other usernames. If you come across any software with this issue, try emailing the developer, as most are very happy to fix this issue. 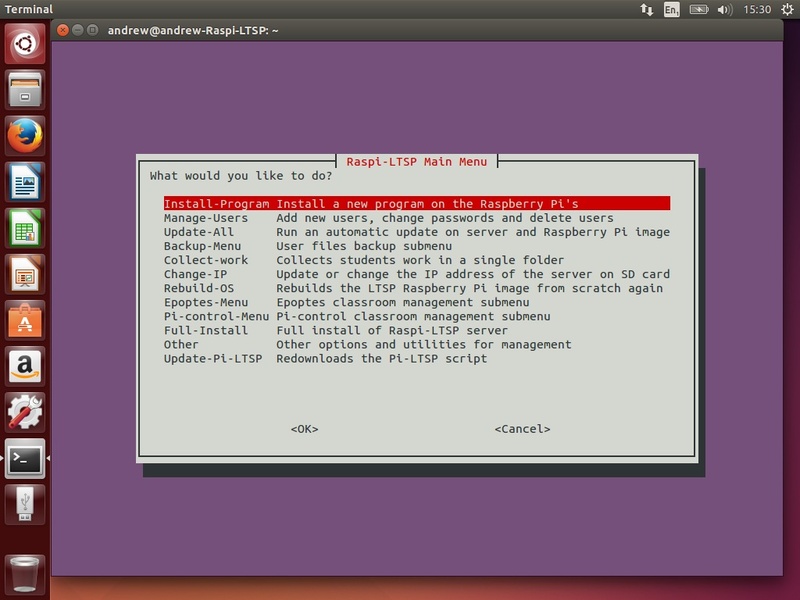 Raspi-LTSP comes with a number of preconfigured options for installing software or you can select “Install-Custom-package” and enter the name of the software. 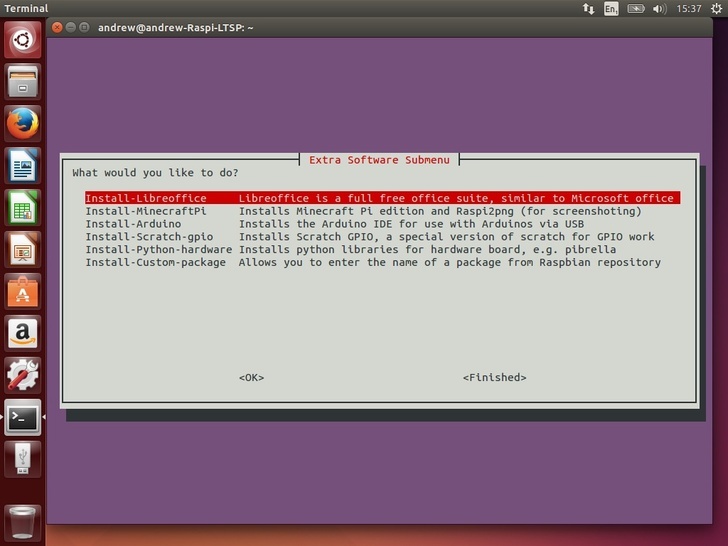 This is exactly the same as doing “apt-get install SoftwareName”. 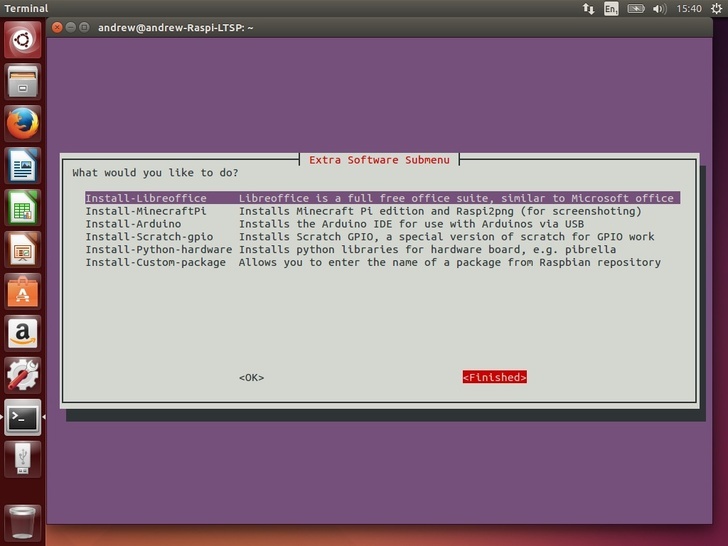 Select “Install-Program” and hit enter. Select the package you wish to install. If it isn’t in the list select “Install-Custom-Package” and enter the name of the package. When asked if you are finished, select yes. If any changes were made, it will recompress the operating system to prepare it for the Raspberry Pis.